Lisa Barram is President and co-founder of Retirement Prosperity Group and Prosperity Advisers, LLC. She comes into this industry with a personal passion after seeing her family lose wealth they could never recover. Lisa emphasizes education in her approach and is guilty of requiring several appointments before she feels the education and planning process is complete for anyone she works with. Lisa is the creator of the Retirement Prosperity Roadmap™ process which helps clients create a complete plan. Lisa finds great pride in providing her clients with a holistic retirement income strategy, where things are looked at - from Social Security maximization, inflation protection, possible sources of guaranteed income and alternatives to traditional long-term care insurance are reviewed. She also works to make sure her clients plans are coordinated with other professionals to address tax planning and estate planning. Her goal in helping clients is to enable them to feel confident in their plans and enjoy their retirement. Before becoming a financial professional, Lisa worked for nearly two decades tutoring underprivileged women and children, pioneering new programs and partnering with national church groups, civic leaders and celebrities to open over 220 community literacy centers, after-school tutoring and education programs around the country. Lisa has been a mentor and national spokesperson for programs like Life Care Funding, having dedicated years to training more than 250 top financial and legal professionals around the country, helping them educate clients about new solutions for retirement planning and long-term care. 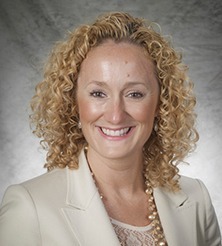 Lisa believes that a well-informed client is empowered to make his or her own best decisions. Her mission is to bring real education to the financial services space so that every person has the opportunity to enjoy financial wellness in what should be the very best years of their lives — their retirement years. Lisa holds licenses in life and health insurance and fixed annuities in Pennsylvania, New Jersey, Delaware and Florida. She has been published and quoted in Forbes, The Huffington Post, Inc., Entrepreneur and Philly.com and featured on Fox 29 News. Lisa and her husband, Daniel, are the proud parents of two young boys, Nico age 8 and Teagan age 5.